These are successfully ported realistic shaders taken from Minecraft PC. 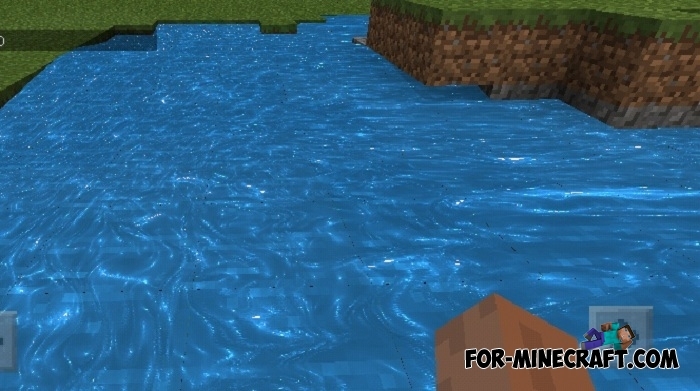 They have one goal is to make the water in Minecraft Bedrock more natural so if you stood right in front of a lake or river and turned your eyes on the water. 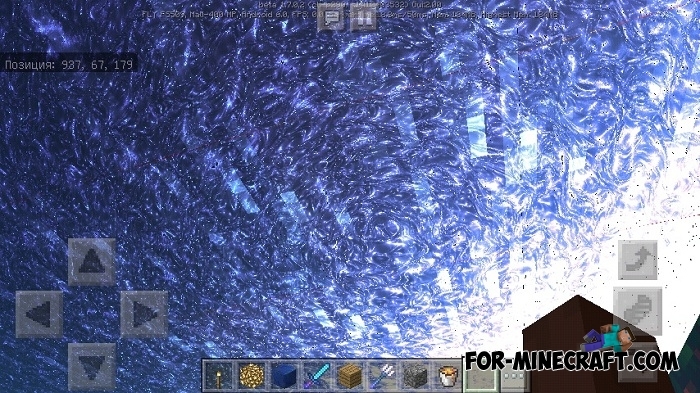 Water will really change beyond recognition and will have nothing to do with vanilla except for physical properties. 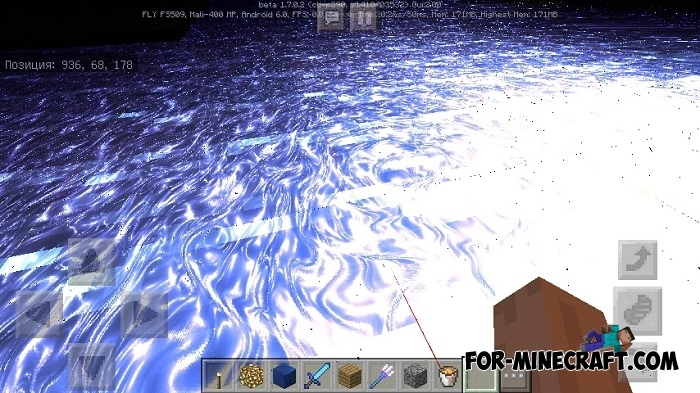 Get ready for the fact that the Water shader takes a few FPS and in some cases even more. It depends on your video chip and RAM, but medium devices (Android or iOS, it doesn't matter) are supported quite well without visible bugs. 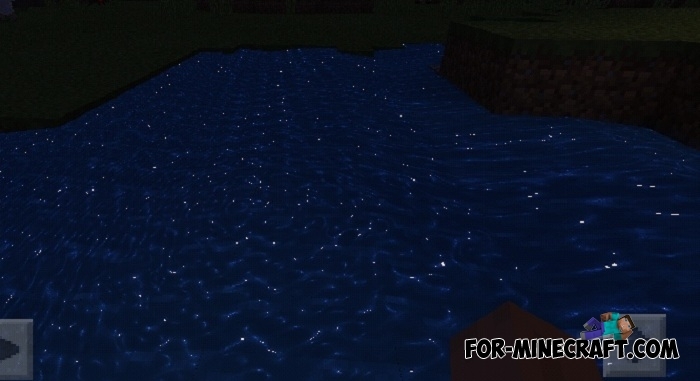 How to install the Water shader?